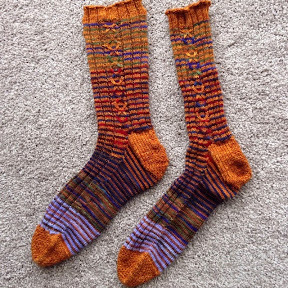 The challenge was not to start a new (whole) skein and create socks that folk would be happy to wear. These are made for a man. My husband has been eyeing them up but concedes that he doesn't need a new pair just at present.